New Naturalist. 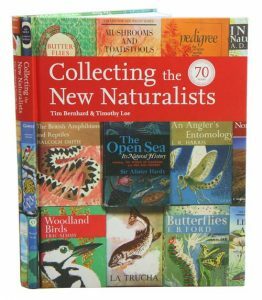 The Collins New Naturalist series is the longest-running and arguably the most influential natural history series in the world with over 100 volumes published in over 60 years. Being a numbered series, with a very low print run for some volumes, New Naturalist publications have been and continue to be highly collectable. Second-hand copies of the rarer volumes, in very good condition, can command high prices. As such, there is considerable interest in a detailed bibliography and history of the series. This volume offers a detailed insight into the fascinating phenomenon that has gripped Britain since just after World War II and which reflects the country’s continued enthusiasm for wildlife and nature publishing generally. With previously unpublished in-depth insight into the workings of the series and its collectors, the book will comprehensively cover every aspect of the New Naturalists, from rare editions produced for Bloomsbury and the Reader’s Union to foreign editions, interviews with the iconic cover artists and well-known naturalists such as Chris Packham and Alan Titchmarsh telling the story of their own fascination with the series. Artist/Author: Stiassny, Melanie L. J. 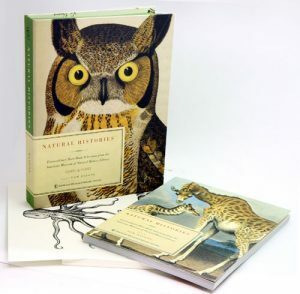 This is the latest beautiful gift set in the popular Natural Histories series. This gorgeously illustrated volume includes fascinating essays and accounts from legendary explorers and early naturalists. Without our oceans, which cover almost 72 percent of our planet, Earth simply could not exist, or humanity survive. Join author Melanie Stiassny from the American Museum of Natural History on an epic, oceanic journey. These fascinating essays, taken from the museum’s Rare Book Collections, expand on the science behind the early histories that shaped the study of oceanography. They take close-up looks at coral, jellyfish, sea worms, whales, sharks, squid and more, meaning this volume will appeal to every seafaring and natural-science enthusiast. 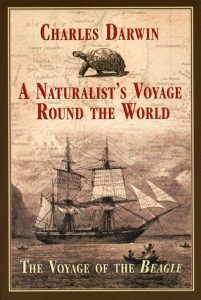 A naturalist’s voyage round the world: the voyage of the Beagle. When On the Origin of Species came out in 1859, it changed the understanding of life and presented the foundation for evolutionary biology. All the material that he collected for this book was from the famous expeditions he took on the Beagle during the 1830s. This is the story of that voyage. Here, we follow Darwin over his almost five-year journey around the world, in which he studied animals, plants, geology, and much more. From the tip of South America and the Galapagos Islands to Australia and Tahiti, Darwin set out to study geology, but ended up finding the information that would lead to his theory of evolution by natural selection. With the original images from Darwin’s journal, this is an incredible look into the past at one of the most important documentations of a sea voyage ever. The information collected by Darwin changed our world, and now you can relive every moment in his own words and illustrations. 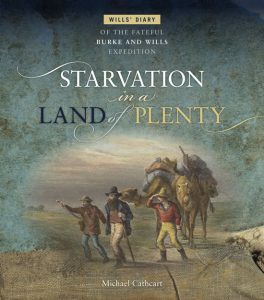 Starvation in a Land of Plenty: Wills’ Diary of the Fateful Burke and Wills Expedition. OUT OF PRINT. Between 23 April and 28 June 1861, Wills documented the torments and disappointments that led to his and Burke’s destruction. Surprising to many, Wills was not the second-in-command but, rather, the party’s ‘surveyor, astronomical and meteorological observe’. His entries would go on to help historians understand the circumstances that led to the tragic end of the expedition. Combined with images from the National Librarys collection, this poignant and telling publication draws on Wills’ account of his fatal weeks, revealing him to have been a man of great dignity and bravery. 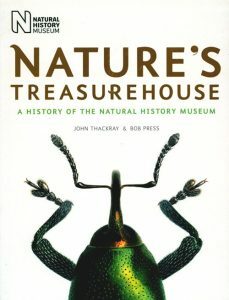 Nature’s treasurehouse: a history of the Natural History Museum. Artist/Author: Thackray, John and Bob Press. The Natural History Museum in London has long been a favourite destination for millions every year. This book takes you on a whirlwind journey through the history of the Natural History Museum: the people, the influences, the discoveries and much more. It chronicles the important milestones in the development of the Museum, and brings to life the times in which they occurred, and the excitement and sometimes controversy that surrounded many of these events. Drawing on the authors’ deep interest in and knowledge of the Museum, the book explores the Museum’s origins, founded on the discoveries and collections of influential men like Sir Hans Sloane, as well as its vast collection of specimens and items, and its evolving role within the world of science. It describes the groundbreaking research undertaken by the Museum’s dedicated staff and the array of educational, electronic and exhibition resources that have been developed and showcased over the years. All those who have visited this iconic and much-loved place will enjoy this warm, honest and sometimes whimsical account of the Museum’s history and development. From style wilderness to height of cool, taxidermy has staged an extraordinary comeback. No longer confined to stately homes, stuffed animals are appearing everywhere from modern apartments to luxury department stores. High-profile artists have rejuvenated the medium and museums have dusted down their historic collections and put them back on display. 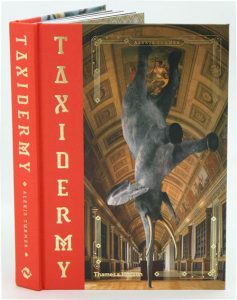 Illustrated with stunning photography that explores this rich artform, past and present, this title is the most comprehensive and beautiful survey of taxidermy ever produced. This book allows readers a privileged glimpse of seldom seen, fully illustrated scientific tomes from the American Museum of Natural History’s Rare Book Collection. Forty essays from the museum’s top experts in a variety of natural science disciplines, from anthropology to zoology, accompany and discuss each rare tome’s unique qualities and scientific contribution. This elegant box set contains the lavishly illustrated book and 40 unbound extraordinary prints suitable for framing. 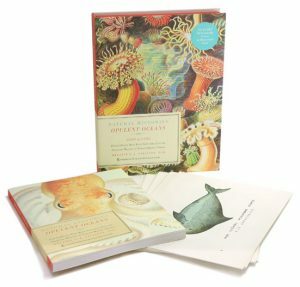 This deluxe edition will fascinate both natural history and art lovers alike. Artist/Author: Dawkins, Richard and Dave McKean. Throughout history people all over the world have invented stories to answer profound questions such as ‘what is the sun?’ and ‘why is there night and day?’. While these magical stories are fun, this book looks at the true stories that are often even more magical. With its explanations of space, time, evolution and more, this book will inspire and amaze readers of all ages. 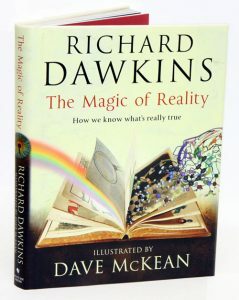 Teaming up with the renowned illustrator Dave McKean, Richard Dawkins answers all these questions and many more. In stunning words and pictures this book presents the real story of the world around us, taking us on an enthralling journey through scientific reality, and showing that it has an awe-inspiring beauty and thrilling magic which far exceed those of the ancient myths. Also available in hardcover [stock id 33650]. 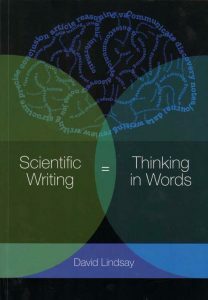 Scientific writing: thinking in words. This book has been written to expose these phantoms as largely smoke and mirrors, and replace them with principles that make communicating research easier and encourage researchers to write confidently. It presents a way of thinking about writing that emulates the way good scientists think about research. It concentrates on the structure of articles, rather than simply on grammar and syntax. So, it is an ideal reference for researchers preparing articles for scientific journals, posters, conference presentations, reviews and popular articles; for students preparing theses; and for researchers whose first language is not English. This book expounds principles that produce scientific articles in a wide range of disciplines that are focussed, concise and, best of all, easy to write and read. David Lindsay was a researcher and teacher in animal biology and behaviour at the University of Western Australia for 33 years. He initiated courses in writing scientific papers and wrote A Guide to Scientific Writing in 1984. Now retired from active research, he teaches scientific writing to scientists all over the world. Artist/Author: Carter, John and Nicolas Barker. Eighth edition, completely revised and re-set, with additional information and an Introduction by Nicolas Barker. Shaken, Unsophisticated, Harleian Style, Fingerprint, E-book, Dentelle. Can you define these terms? If not, this is the book for you! 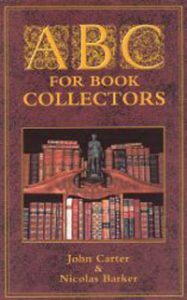 John Carter’s ABC For Book Collectors has long been established as the most enjoyable as well as the most informative reference book on the subject. Here, in over 490 alphabetical entries, ranging in length from a single line to several pages, may be found definition and analysis of the technical terms used in book collecting and bibliography, interspersed with salutary comments on such subjects as auctions, condition, facsimiles and fakes, ‘points’, rarity, etc. This eighth edition has been revised by Nicolas Barker, editor of The Book Collector and incorporates additional words created by the introduction of web-based collecting. The ABC For Book Collectors retains its humorous character as the one indispensable guide to book collecting while also keeping us up-to-date with modern terminology. 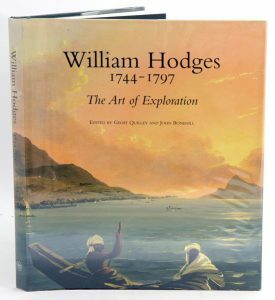 William Hodges 1744-1797: the art of exploration. Artist/Author: Quilley, Geoff and John Bonehill, editors. William Hodges is well known as the artist who accompanied Cook’s second voyage to the South Pacific as official landscape painter.